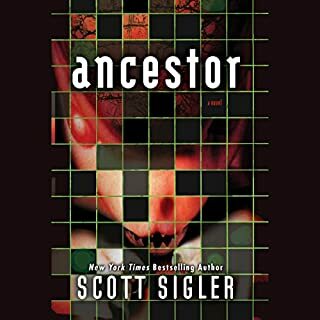 As a fan of Scott Sigler's work, I had to check out the Generations trilogy. 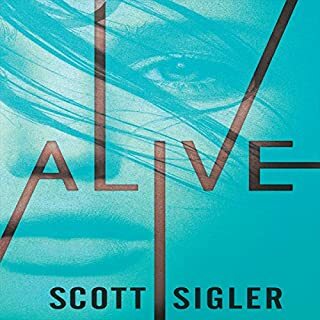 Having just read "Alive," I was itching to listen to book 2. I've had my headphones in my ears almost nonstop over the last 24 hours, unable to stop listening. Emma Galvin's voice perfectly personifies how one would imagine a character like Em (M) would sound; she also reflects the emotions that Em would feel as the story progresses. Can't wait for the final book! Man! So outstanding! Just like Scott Sigler promised, the 2nd part of this trilogy is more engaging than the first. Because I am very familiar with all of his books, I am able to make many connections between all. I am SO jonesing for the next part! 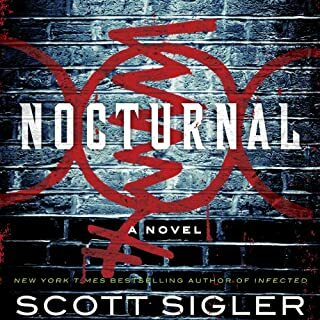 As always, my FAVORITE author, Scott Sigler has done it again! Another great book! Emma Galvin does am amazing job telling the story of Em and her friends. They've finally made it to the planet where they face new dangers. Can't wait for book 3! Rollercoaster ride of great story telling. A good rollercoaster of a story. Just when I think I know where its going, Scott smacks me in the face and says "you don't know anything sucka" and shows us how good of a writer he is. Go get Alive and start this rollercoaster ride yourself. A beautifully executed departure from Sigler's usual style of storytelling, this series has had me guessing (mostly incorrectly) the entire time. I can hardly wait for the next installment! Would you listen to Alight: Book Two of the Generations Trilogy again? Why? Yes! I have already. The story is very unique and keeps you wanting more! Em!! She drove me bonkers in the first book in a few parts but she has got her ducks together for the most part in this one. Em! Emma Galvin is a fantastic reader and I she portrays what I believe Em would actually sound like if she were real. YES!! I only hit pause when I had to. This story will have you spinning! It has many surprises and lots of fun twists. I very much enjoyed this and I cannot wait to listen to the next one! You get to explore a new world with the crew you go to know before. Fight new monsters and learn new tricks and what the symbols mean. The action, the romance, the exploration, EVERYTHING makes this book a must read. 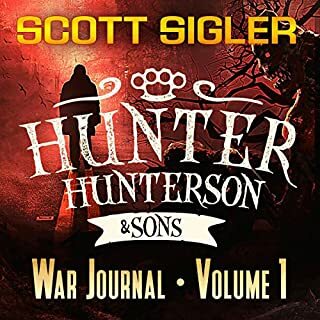 this is another great book by Scott Sigler! The story moves along quickly without getting bogged down. Lots of familiar characters from book 1, and also new characters introduced. New settings are are describe in excellent detail. I really liked this book. great performance and a good story. I listened to it while I was at the gym and finished it in about 5 days. have followed scott's podcast for the last two years and the generations triology is his stand works. he has cranked the tension upto 11 this time and after getting half way through the weekly podcasts, I couldn't wait another week to find out whats going to happen so bought the Audio book. Galven's performance is perfect and you trully believe that she is the reluctant leader Em. I tried to think who else could narrate and embody the characters as she does, it's proven to be a difficult and very short list. At 35 I really shouldn't enjoy teenage dystopia fiction this much but I have to admit I've become a 'Junky' for this series. Only complaint is that i have to wait another 9 months to the final installment. Savage you always were a bi**h! Great second installment of the generations trilogy. At some points It makes you want to hit something! As they start life onthe planet other things go wrong as always! but a great listen, a great book and Emma Galvin ay 'm' or 'Em' is brilliant. Her voice is commandingly gentle. if you liked the first Book you will love this. great Twist at the end. part of which you can see coming but then are not sure about! I couldn't stop listening! can't wait to finish the trilogy. highly recommended Scott Seigler's books. 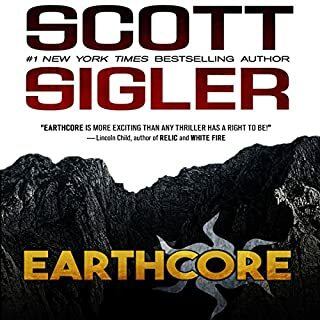 Scott Sigler is a mastermind and his book only demonstrates it even better. the creatures, the social structures, the new worlds and technologies. So fantastic, yet so believable and domeatic. Completely believable. Though I have to say, I would be punching double circles left and right into their little asshat mouths. Fantastic story, Sigler is an amazing story teller. Galvin is Em personified and IS the character. Highly recommend it. 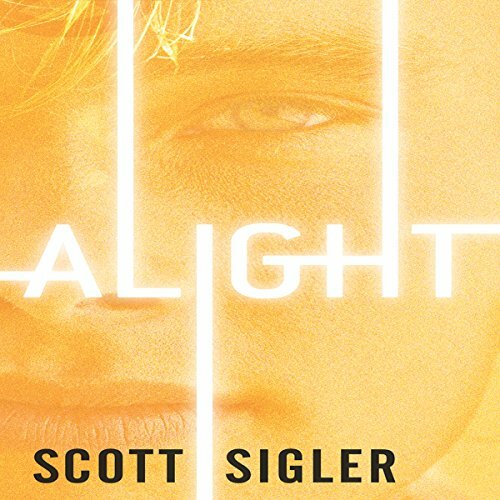 Would you consider the audio edition of Alight: Book Two of the Generations Trilogy to be better than the print version? I haven't read the print version cant say. Em, she is the main character but her reasoning is often sound. She may have capable people around her but she shows how a leader can carry the 'show' by themselves. Em and Spingate in a few scenes made me had emotional reactions not when they were in danger but the character interactions between each other it showed how good friends can really hurt each other. I didn't move me to tears but it really help me empathize with Em and Spingate as well. Most of the exchanges between them that ended with hurt feels were under pressing circumstances and both parties seemed to regret them. The character Aronofsky seemed to go from well meaning but mistaken individual. I know he was always looking for power but like Em he has always wanted the best for his people, though admittedly he think those lost weren't necessary. But I think his actions make sense when the grown ups come as he basically sees them as his gods. His actions in the last book seem to be forgotten by Em and if she had perhaps thanked him for saving her life things would not have transpired in such drastic way. Best narrator.Emma Galvin can make you feel. Second listen. great story. Exellent trilogy. 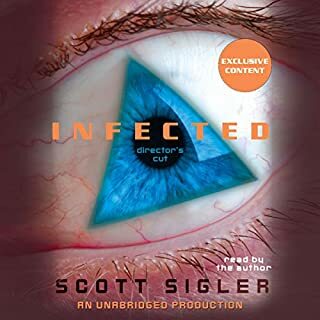 Can't get enough of Scott Sigler.